Talking about mental illness and suicide openly is good. It helps break down stigma and facilitate difficult conversations. But how we talk and what we talk about precisely is really important, too. Glorifying death by suicide sends a wrong-headed message that it’s a sensible choice, not an irrational one. When famous people die, we should celebrate their lives, not the way their lives ended. The media have an important role to play here; coverage should be respectful, not voyeuristic; at the same time, we should not shy away from writing about suicide, because that perpetuates stigma. 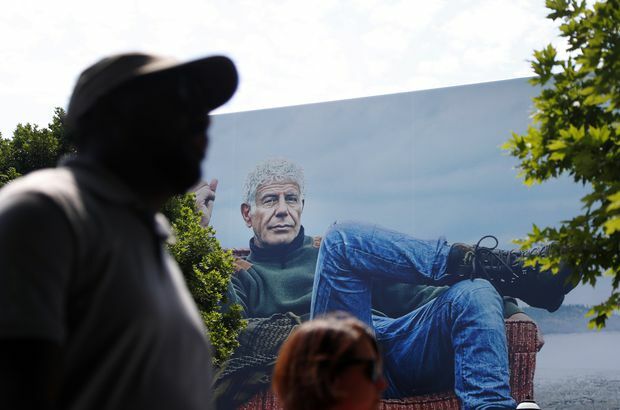 In our celebrity-obsessed culture, deaths of people such as Mr. Bourdain and Ms. Spade, and the intense media coverage that follows, can bring up sadness, fear, confusion and anger. We often view celebrities as stronger and less vulnerable than us, and seeing them die by suicide can be shattering. “If they can’t go on with life, how can I?” is a sentiment that often gets expressed. Rather than measure ourselves too closely against public figures – or their well-burnished images - their deaths should be provide an opportunity to discuss the underlying causes of suicide and mental illness, and the barriers to seeking and accessing treatment. One of the saddest aspects of the stories about Ms. Spade was the revelation that she hesitated to get help for her crushing depression because she worried it would hurt her brand, built on cheerful and brightly coloured handbags and clothes. That’s a poignant reminder that depression is often hidden behind a front of happiness. The stigma of mental illness is fading, so the greatest barrier for many is not fear of seeking treatment, but access to treatment. In Canada, the waits for psychiatric care are disturbingly long. The barriers to accessing psychological services tend to be financial; psychotherapy is not covered by publicly funded health insurance, and private insurance tends to offer quite limited coverage. Lost in the outpouring of angst over celebrity deaths is the fact that mental illnesses are treatable. Many people who consider or attempt suicide get help, and they get better. In other words, there is hope – and we don’t aim our magnifying glass at that often enough. Mr. Kennedy also speaks passionately about the need to tackle the societal problems that can fuel and trigger mental illness and suicidal thoughts – sexual and physical abuse, bullying, trauma, isolation, poverty and more. If we want to silence the siren song of suicide, we have to calm the troubled waters around us – the relentless expectations, stress, fear and all-too-common hurt. People who choose suicide want to end their pain, not their lives. Celebrity deaths remind us that no one, no matter how revered or celebrated, is immune to the black dog of depression and its faithful companions - isolation, emptiness, heartbreak and hopelessness. But they should remind us, too, that anyone can help, and little gestures matter. Asking: “Are you okay?” and “And how can I help you?” – and meaning it – and “Are you suicidal?” can be life-saving. We shouldn’t wait until people’s funerals to tell them how much they mean to us.